Supplementation is an important part of any training regimen, whether the goal is weight loss, muscle gain, strength, or overall health and well-being. For college athletes, finding supplements that are allowed may seem like a difficult task. However, the core supplements that most individuals use are perfectly safe and banned-substance free. Here we look at the supplements that every athlete at a collegiate level should be adding into their routines during off-season training, as well as in-season maintenance and practice. 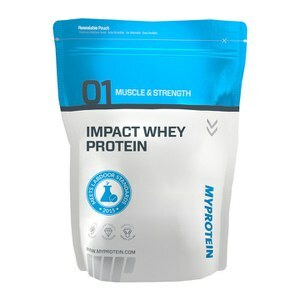 Many athletes use whey protein in order to increase their daily protein intake and reach their daily goal. It is very easy to have protein with you in a shaker cup for when you are on the go and need a quick snack or quick protein intake, considering that college athletes have class, study time, sports training and a social life to contend with! A good whey protein supplement can provide every college athlete clean, wholesome protein at a price that is usually less than a dollar per serving. Getting in protein/calories is important post-exercise given the stress that has just been put on the body. After practice, before jumping in the shower or washing your clothes, just have a protein powder waiting right there. Not only is it going to refuel the body right then, but whey protein has been shown to be the most bio-available protein option out there – meaning it is absorbed faster than any other protein source. Creatine is the second important supplement that every athlete should be taking. Some people shy away from creatine – though it is naturally occurring in red meats and fish – but getting the daily recommended dose of at least 5g would require the consumption of over 2 pounds of red meat per day. That is simply not doable, especially on a college budget – therefore a creatine supplement is the perfect way to get to the goal of 5-10g per day. Creatine increases muscle mass, strength, and overall energy levels. It is a perfectly legal supplement with no risk to it, as long as the user is drinking plenty of water and following the directions for use. With creatine, you can find yourself performing much better on the field or the hardwood, thanks to the increased strength and endurance the creatine monohydrate is providing you. Third on our list is the ever-popular BCAA, which stands for Branched Chain Amino Acids. BCAAs have been shown to increase protein synthesis and muscle growth as well as prevent the breakdown of muscle tissue and improve energy levels in the gym. Taking 5g before or during a workout and 5g afterwards will help the muscle recover and stay energized, as well as prevent over-training, which is a problem during any athletic season. 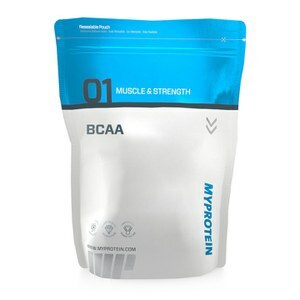 The BCAA supplement will help keep you performing at an optimal level as the season grinds on and your body starts to feel the effects of every practice, workout, and game thanks to the preserved muscle tissue, which would usually experience a greater break down during the long-haul of the season without a proper BCAA supplement to keep your body fresh. Fish oils are not only great for athletes, but they are recommended for any individual. 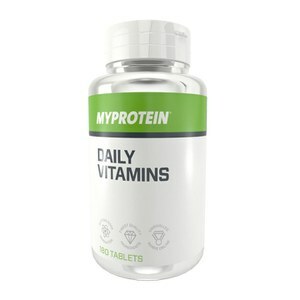 They are full of Omega-3 fatty acids which arguably are the healthiest fats the body can have. Fish oils have been shown to increase heart health and function, as well as improve mobility and decrease stiffness in joints. Every person needs a healthy and functional heart, especially athletes who are increasing their heart rate on a daily basis. Simply taking 3g of Omega-3s every day will increase your overall heart health and function. As with fish oil, a good multivitamin is great for any individual but especially athletes. Many people have trouble with getting in their daily vitamins for overall health simply through the food they are eating. A multivitamin will give you the full profile of vitamins and nutrients that your body needs for optimal daily and athletic function and performance. By keeping your body healthy and full of the vitamins that it needs on the daily, you will not only feel better every day, but you will also perform better in the long-haul. Your body will remain performing at its peak if you are fueling it with the nutrients and vitamins it needs. However, a multivitamin should not replace a varied diet, so ensure you’re eating a range of vegetables, fruits, and nuts. Strength and muscular endurance will be gained during the off-season, as well as preserve muscle and use it to the very best of your ability on-season. Most importantly all the above supplements are completely legal, meet NCAA standards, and are safe for any athlete at the collegiate level. It is tough to find the proper supplements that are actually allowed at the collegiate level, but sticking to the basic 5 above will help you see an improved performance year-round.